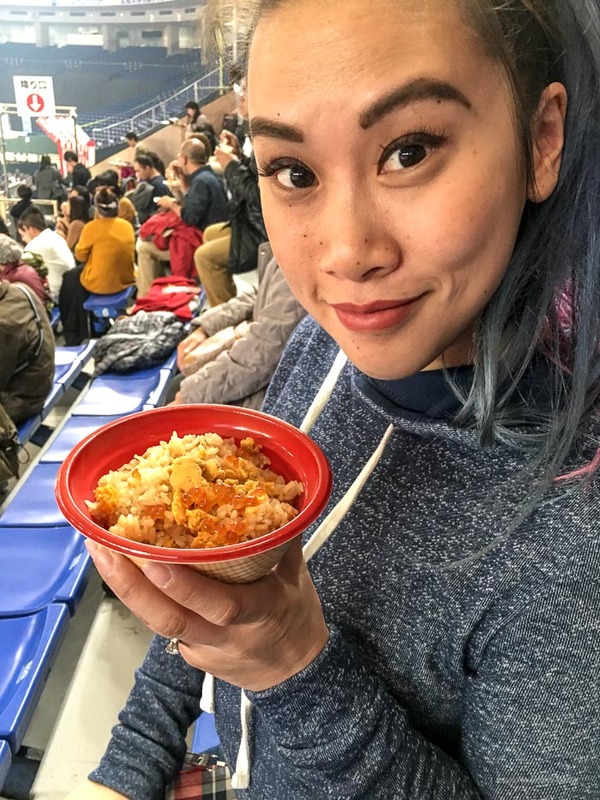 What to do in Tokyo in January: If you love food and you love Japan, you NEED to go to this food fair in Tokyo. 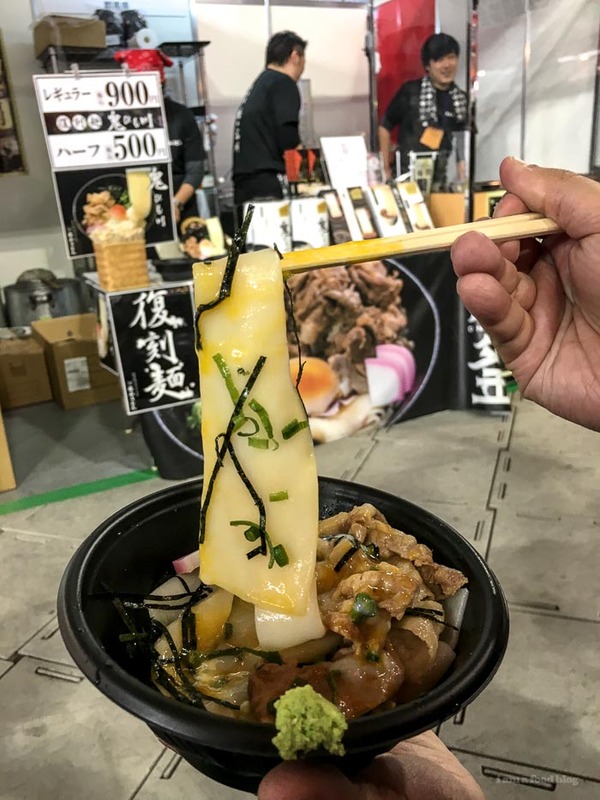 All the regional Japanese foods you want to try, in one convenient fair! Earlier this year, Mike and I were in Japan, eating our faces off. I miss it so much. So much that I haven’t really written about our time there, but that’s about to change because we happened upon a gigantic number of photos that we took but didn’t edit. I’ve been inspired! And the first post had to be about Furusato Matsuri! 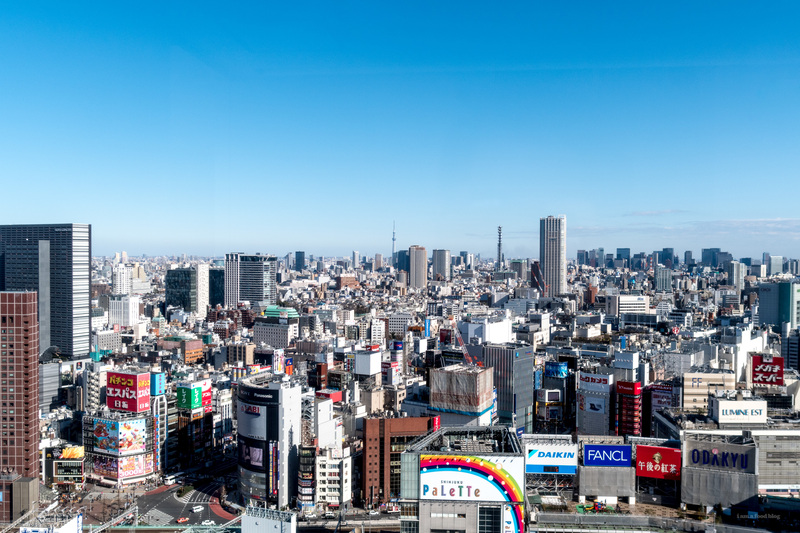 If you’re looking for what to do in Tokyo in January, this is the answer. 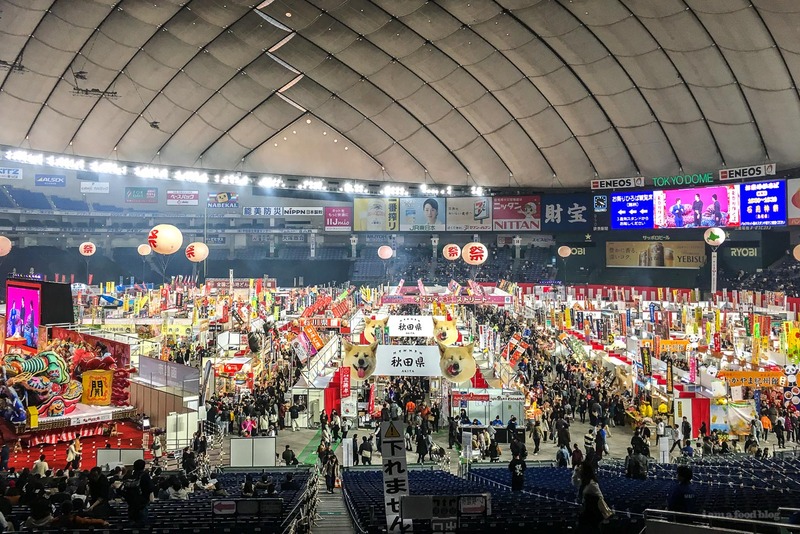 Furusato Matsuri roughly translates as “the festival of the hometowns” and it’s a massive – we’re talking a huge indoor 28 acre stadium – food fair that features regional Japanese food from all of Japan, conveniently located in the center of Tokyo. It’s been held in Tokyo Dome for the last eight years and for the ninth iteration, Mike and I went! They usually hold the festival in January and we were lucky enough to somehow know about it and be there at the right time. In 2018, for the 10th anniversary, it’s going to be from January 12th – 21st, so if you want to plan your trip now, you have plenty of time. Have you ever been to those taste of [insert city name here] things in your own town? There are a bunch of booths with different samples/foods you can buy? That’s essentially what Furusato Matsuri is. They have all of the different prefectures with the foods that they’re known for. 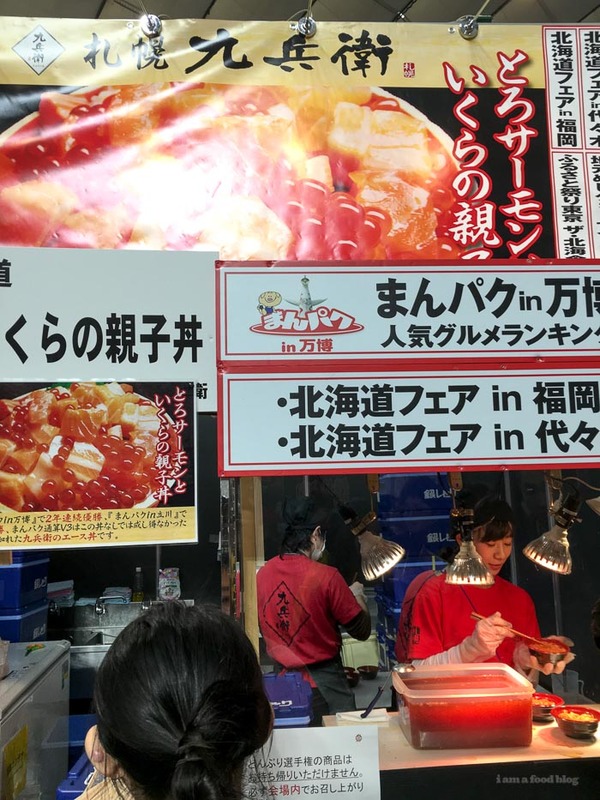 Japan is obsessed with meibutsu, what they call local specialties, and at the fair you can try as many meibutsu as your stomach can handle. 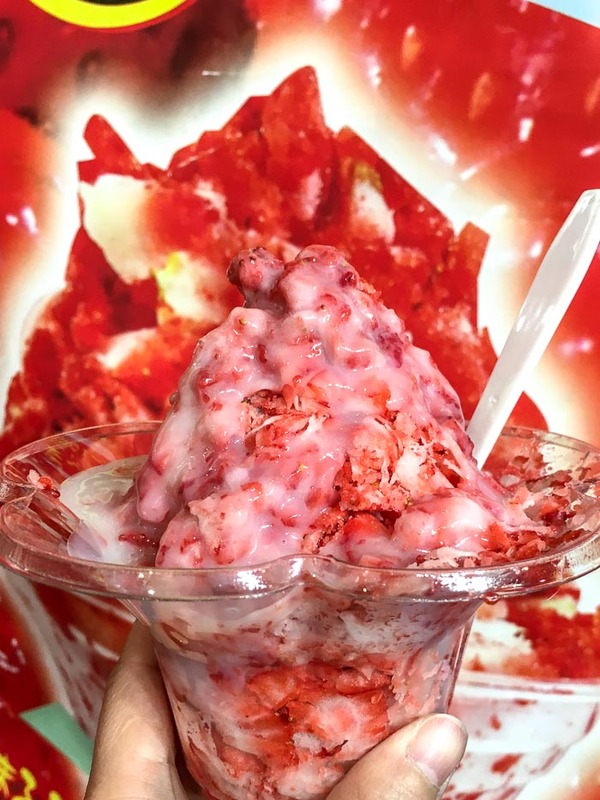 Yuki-ichigo: fluffy shaved frozen strawberries and condensed milk. This was a take on kakigori (Japanese shaved ice) minus the ice because it was essentially frozen shaved strawberries topped off with a generous drizzle of condensed milk. It was sweet, creamy, and I ate the whole thing and didn’t regret it! 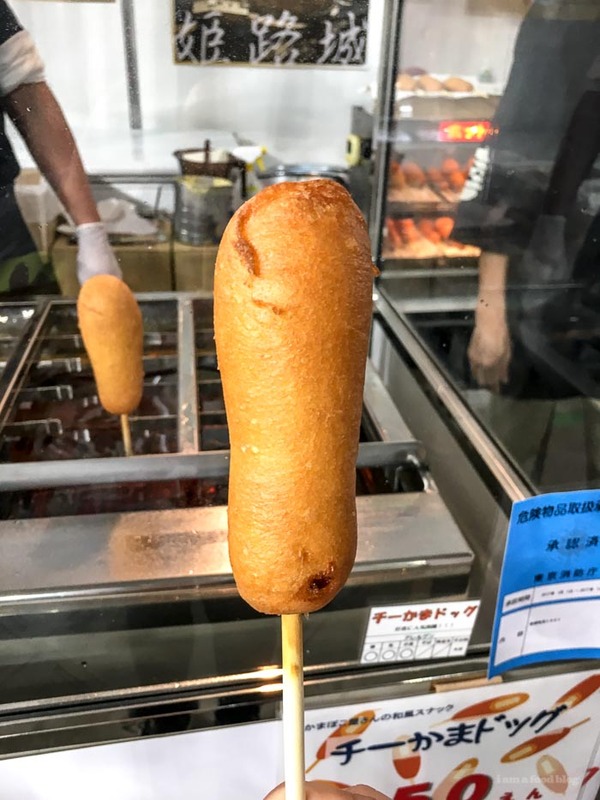 Chiikamadogu: a combination of cheese + kamaboko deep fried like a corn dog. Kamaboko is fish cake, super savory and a very popular both on its own and in dishes. Yakisoba: how could we resist this classic Japanese food fair dish?! The noodles were thick, the pork was tender, and it was delicious! Chicken karaage: there were so many chicken karaage places it was hard to decide which one to go to and we don’t really read Japanese all that well so we just went with a random place and it was juicy and crispy and all things that are good about Japanese style deep fried chicken. Himokawa udon: A region style udon that is very thin and wide, kind of like pappardelle. They served it hot with a bit of dashi, thinly sliced pork, green onions, nori, fish cake, wasabi, and a onsen egg. I was so full at this point, but the udon was so good that I finished off most of the bowl. 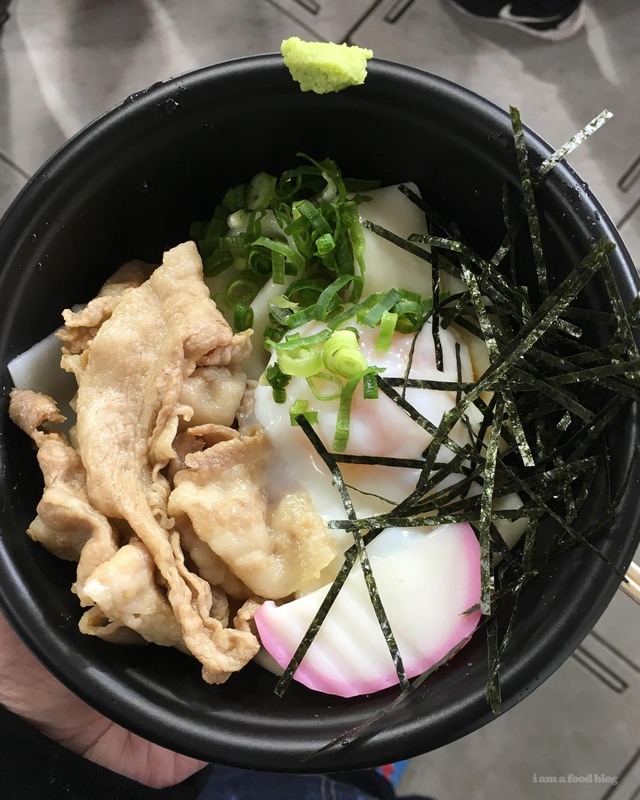 The creaminess of the egg was an excellent counter point to the sharp and spicy wasabi and the udon was just the right combination of chewy and silky. We also participated in donburi (rice bowl) voting for the National Donburi Grand Prix Championship. Every year, 15 different rice bowls from various shops are entered in the contest. 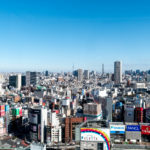 Nine of the entrants won a preliminary competition, five are included from last year’s competition, and one is recomended by the Furusato Matsuri organizers. You buy vouchers for the bowls (which are half sized so you can try more than one) and also get a voting token. After you eat, you can vote! 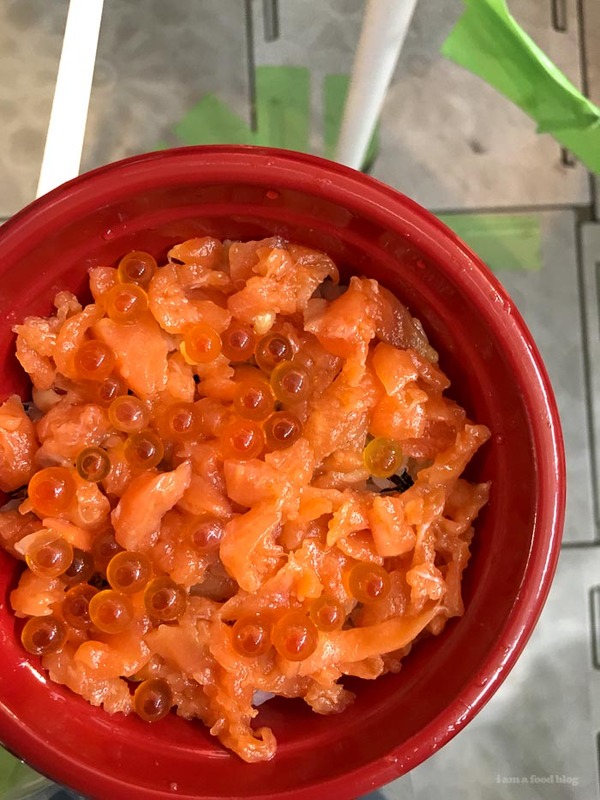 We tried two bowls: one with salmon and salmon roe and one with uni and salmon roe. They were both so good. And, bonus, for all you beer lovers out there, there are so many local craft beers you can try! Go in the morning, make a day of it so you can eat to your heart’s content. We didn’t eat anything else that day, just food festival stuff. They have lockers for you so get a locker, you’ll want both hands free to stuff your face! Scout out a locker on the upper level, where you enter – keep your eyes peeled because they’re kind of popular. They’re coin operated, just open it up, put your stuff in, put the coin in, and turn the key. When you go back for your stuff, you’ll get your coin back! You can put your jacket and bags in there, highly recommended. Do a walk around before eating anything so you can plan it out. Don’t be an amateur and eat without planning because you won’t fit it all in your tummy. They have maps that show you which area has which food stands and where they’re from. Hokkaido is always a popular because it’s the prefecture that’s known as Japan’s breadbasket. Try to see the mascots! Each Japanese prefecture has its own mascot and they range from cute to weird and creepy. Even tiny towns have mascots, so if you spot them, take photos. They even has a mascot parade that you can watch. If you have space in your luggage, buy omiyage! Omiyage is the word for a gift or souvenir for your family, friends, or coworkers. Omiyage is typically a specialty food item, wrapped up very prettily and packaged perfectly for sharing. There are bunch of omiyage at the fair and it’s awesome because you didn’t even have to travel to get it. We bought some of the extra wide udon to bring home. That’s it! I’m so happy we got to go and eat all the things. I just wish my stomach was bigger! Oh man, this looks like it would be a great event to go to! This is amazing! I had no idea about it. I can’t wait to go to Japan, it’s been my dream since I was 5. Hopefully in 2018.